Numerous studies find that proper nutrition drastically improves student attention and performance. That's why we support a full healthy food program at the schools where we work. 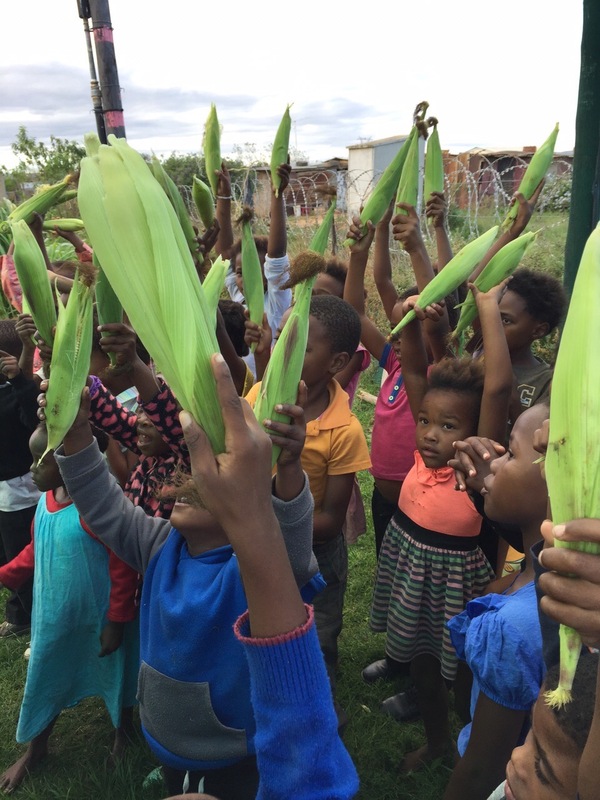 With the help of permaculture experts, Universal Promise supported the planting of an enormous vegetable garden at Langbos Creche and Care Centre. There students learn to grow plants, to tend them, and to appreciate the merits of a healthy, sustainable food source. The vegetables are included in the school feeding schemes and in community-wide soup kitchen dinners. In this community, where devastating undernourishment, poor health, unclean water, and widespread unemployment pervade, the garden and soup kitchen provide the only opportunities to eat well. 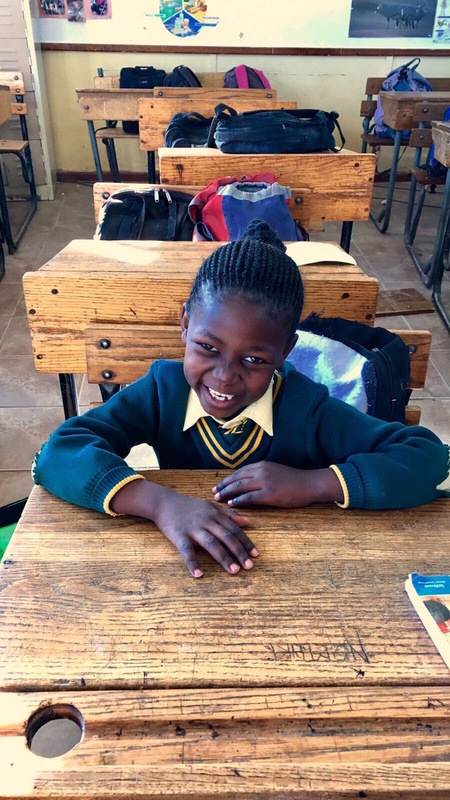 At Vusumzi Primary School, children plant kid-sized vegetable beds, and each classroom is responsible for taking care of its own plants, which include beans, beets, cabbage, and spinach. The children learn stewardship, the importance of caring for something, and the tangible joys that result from both.